LAFI’s first event is a great success! 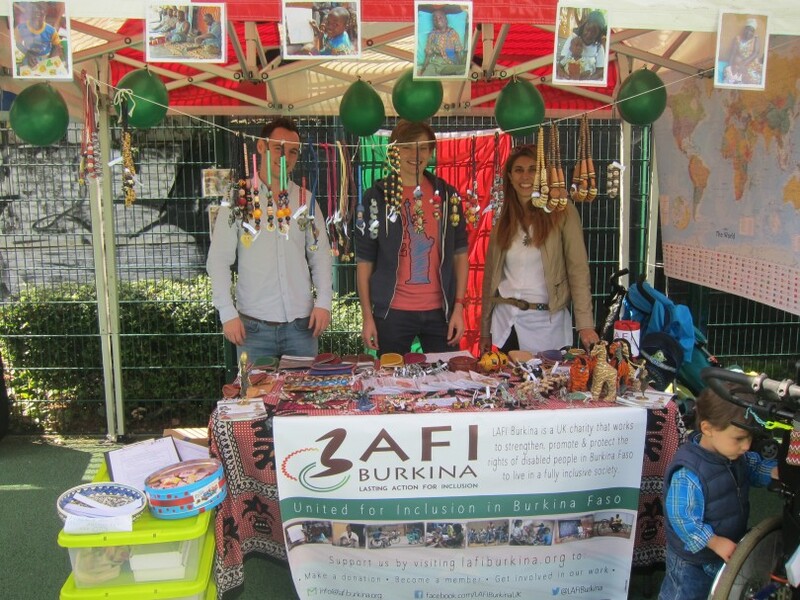 Last Sunday (31st August) LAFI attended its first festival which proved to be a great success! With more events lined up over the coming weeks this was a great start to LAFI’s busy calendar. The African Heritage Festival which is held every year in Kilburn, north London, is a celebration of the diversity of African history and culture. The festival combined culture, food, dance, games, music, theatre, poetry, education, and business. LAFI was thrilled to be a part of it and was able to raise funds for our partner Tigoung Nonma who’s products on sale proved very popular. Interest in LAFI is growing with people keen to find out more about our work and we received many compliments on our stall. Children especially loved our game – guess where Burkina Faso is on the map! We are excited by the response from this festival and are already looking ahead to our next event this coming weekend. Join us at ‘TAKE THE HIGH ROAD’ on Saturday 6th September. This is an all day festival that celebrates talent and diversity in Tottenham featuring live music, good food, stalls and activities, catering for all ages and tastes. The event is free and we will be there from 1pm – 6pm. We hope to build on the success of last week and get more support for LAFI – watch this space for further updates!